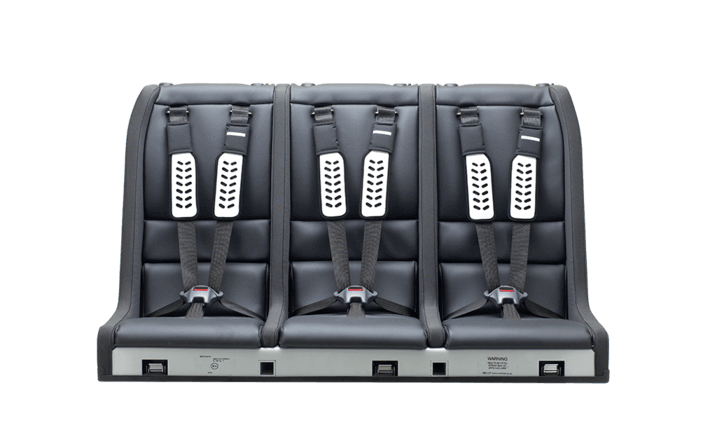 The Multimac – Available in three different widths of four-seater and three-seater variants, the Multimac can fit virtually all cars, including compact cars. 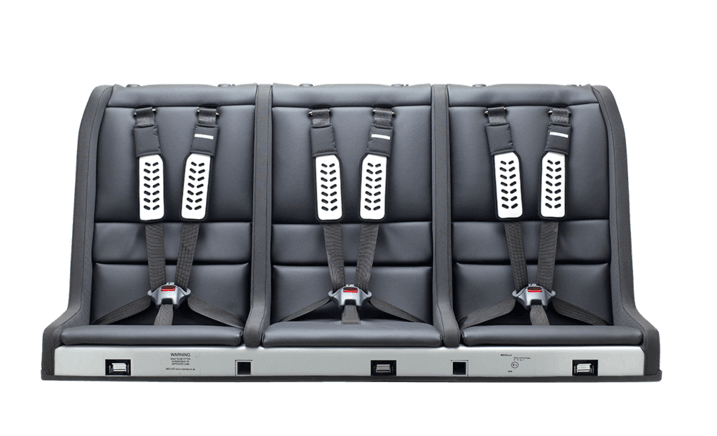 The seat berth – Each seat will hold up to 36kg (children around 12 years) in the adjustable five-point harness. Both headrest types are compatible with every seat – the ‘Ylva’ is recommended for children aged up to six. The Minimac – The Minimac locks into the seat berth, and is suitable for babies weighing 0-13kg, around 18 months. When we found out we were expecting our third child last year, it dawned on us that we wouldn’t be able to fit three car seats in our car. We had two options: buy a new car or try a Multimac. 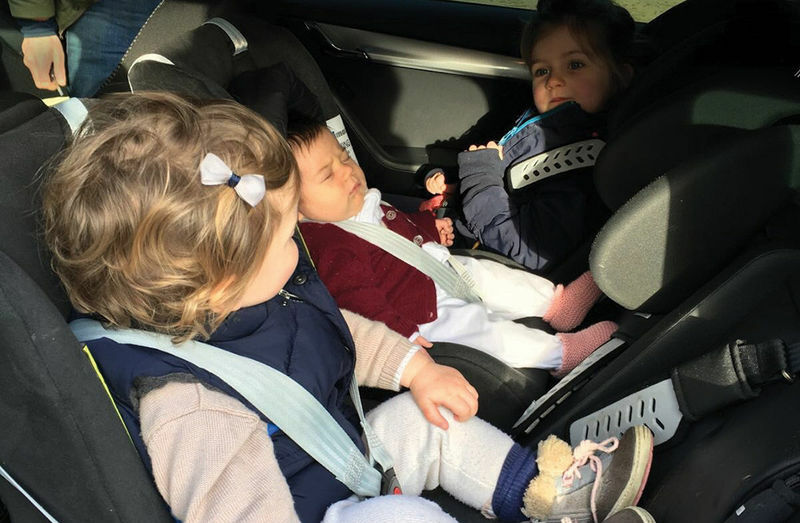 A new seven-seater would mean our eldest would have to sit in the back on her own, and when we drilled down to the nitty gritty of boot size and Isofix points, we weren’t gaining much. So, we got a Multimac Super Club with two Minimacs. 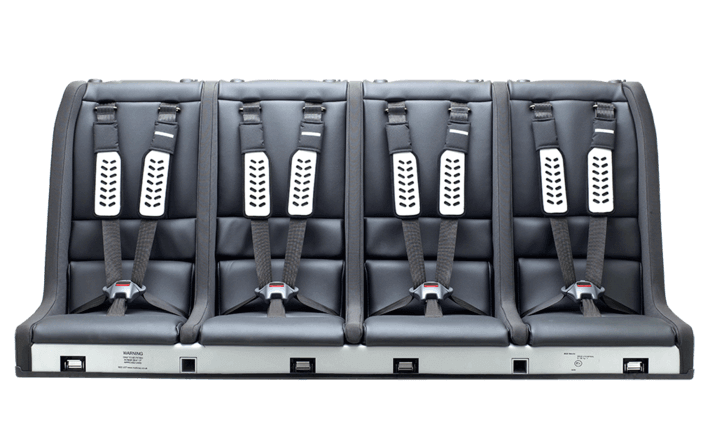 The Multimac tests well – its bench-like structure strengthens it to exceed in crash scenarios. You also have added peace of mind, given that each Multimac is fitted by an expert (at motability branches in garages across the UK), you are able to avoid the pitfalls of a poorly fitted seat which is where many of us go wrong with traditional car seats. It’s easy to get children in and out; the seat belts adjust in a similar way to other car seats. The upholstery is wipe-clean, too. In hindsight we could have gone for a four seater which would make it even more versatile as you’d be able to cater for an extra adult, or leave a space between children. The upright position of the Minimac was something I initially disliked, but I very quickly got over it as our new baby loves it. The product is seriously good looking. So much so that it made the rest of our almost-new car feel quite downtrodden! I like the simple lines and the clever design. The leather-look fabric is the same as that used in Jaguar and Land Rover vehicles, but you can also customise your Multimac to match your own car interior. It feels almost indestructible, too. It really depends on the age of your children but for us, with three girls under four, the Multimac ticks so many boxes and offers longevity, given that it will be used for another eight years or so on our parenting journey.